An official report of a motor vehicle accident is generated when a police officer is called to the scene. It is possible for anyone involved in the accident or a bystander to call the police, however, in some cases, depending on the accident, police will not be dispatched. The traffic collision report, commonly called a police report, is generated by the investigating officer. Submitting this report when filing an insurance claim may help speed up the process, although it is possible to file a claim without it. Unless you have been involved in an accident in the past, you may be unfamiliar with how a traffic collision report is obtained. David Azizi, a Los Angeles and surrounding area car accident attorney, explains the protocol involved in obtaining a police report and answers some questions about what it is and how it is useful in your case. 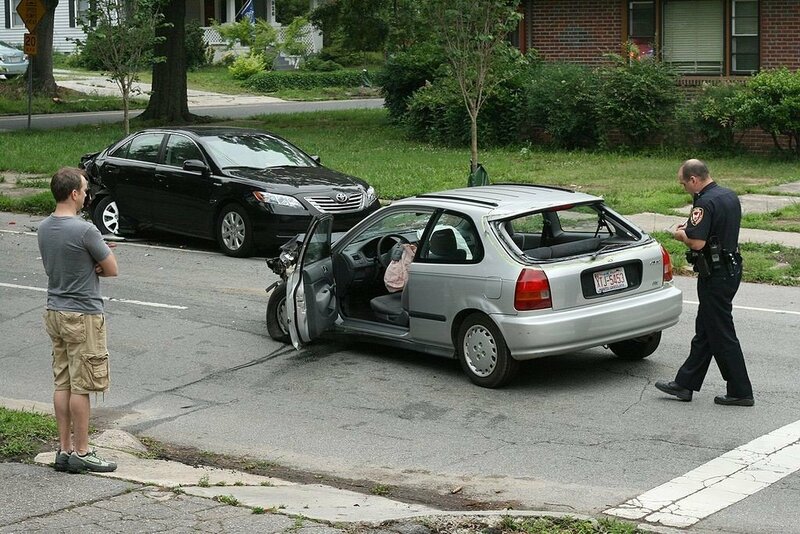 What Is a Police Report of a Vehicular Accident? Make sure that no one needs immediate medical assistance. Note the location and time of the accident along with the date. Note road and weather conditions as well as time of day. Identify the vehicles involved in the crash, including the model, make, color, license plate number and year of all vehicles. Talk to those involved in the accident, procuring their name, address, telephone number, insurance information and driver’s license number as well as statements about the accident itself. Obtain identifying information from witnesses, and record any statements they may offer. Describe the accident, including events leading up to impact, the impact point and causal factors involved complete with a diagram. List any citations issued, including those for infractions such as failure to stop, not using a turn signal and others. Citations or arrests for impaired driving may be added. Take photos of the vehicles, skid marks, yaw marks, damage to the road surface and motor vehicle placement. Before leaving the scene, a police officer may provide a card or receipt with their name and a ID number for the report. This makes it easier to get a copy of the accident report. However, there are times this is not provided. Either way, there are procedures in place to get a police report. One distinction is if your accident happened on the highway or within a particular city or town. If you are in an accident on the highway or in certain areas, CHP will respond. In order to request a Traffic Collision Report, it is possible to go either to a local office or send the request in through the mail. 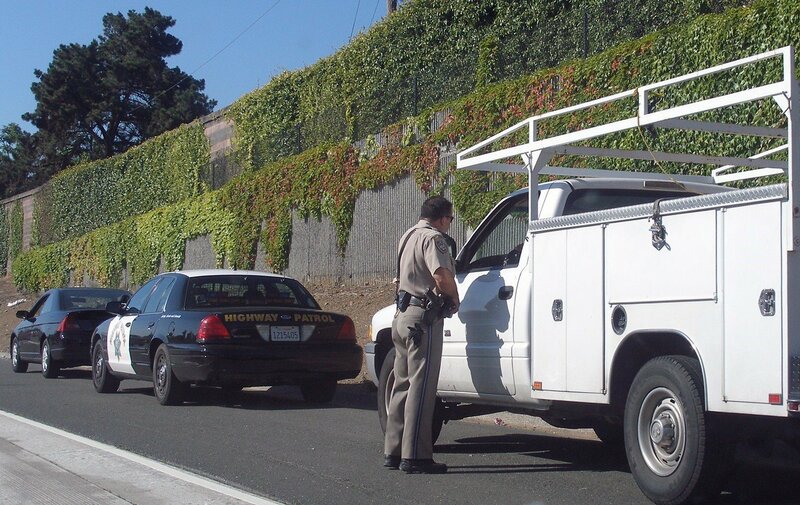 You can download the Traffic Collision Report request form online. If you do not have access to a computer, the forms are available at CHP area offices. Fill in the date of the accident, the location and the name of the driver of the vehicle or the owner at the top. When you are a damaged property owner, fill in your address along with your name. The next four lines ask your identification as a party of interest in the accident. This includes you as the driver, passenger, registered owner, property owner if property was damaged, pedestrian, parent if the driver is a minor or an attorney. You can only check one, and you must fill in your name. If you are unsure of what your standing is, call a CHP office for advice. At the bottom, you must print your name, address, and sign and date the form. You must send the appropriate fee. The fee differs according to the length of the report, so it might be best to call an area CHP office. If you don’t know where to call, click here, and fill in your location in the search box for the nearest CHP office. You must make a copy of your driver’s license or ID card, and send it in with the form. It is used to verify your status as a party of interest. If the law enforcement officer who investigated the accident was a member of a local police force, you can send a request to the local office or make a request online if available. There are many different towns and cities in Southern California so forms may differ. You can call the local police department, or look online to see what is required. You must include a money order or check for $24. Make either payable to LAPD. The time to process your request may take five to six weeks. The report can be requested online. You must wait at least 45 days from the time of the accident to request an online report. It may take up to 28 days to receive the report. Please include a self-addressed stamped envelope. Please call for fee information. Traffic Collision Reports are available by mail, in person or online 10 days after the accident. If you are sending the request by mail, include a money order or check to the City of Riverside for $12. Information should include basic information such as your name, address, telephone number, date of birth, location of the accident and its date as well as what your status is as a party of interest. A copy of your driver’s license should accompany the request. If you request the report online, add $10 to the existing $12 fee. This is a convenience fee for procuring online reports. We recommend downloading, printing, and keeping a vehicle collision checklist with your registration information to always be ready for the unexpected. These essential steps will help you document and preserve evidence to protect your case. David Azizi has helped Californians for 21 years after a car accident. He is recognized as one of the top 20 personal injury attorneys in the Los Angeles area by Expertise.com. With a 98-percent success rate, David can provide you with a way to recover the financial loss you suffered from your accident. In addition, if the insurance company does not agree to pay what your case is worth, David will help by taking it to court. If you are unable to secure your traffic collision report or have questions, call us at (800) 991-5292 24/7. We can help lift the stress of the aftermath of a car accident.